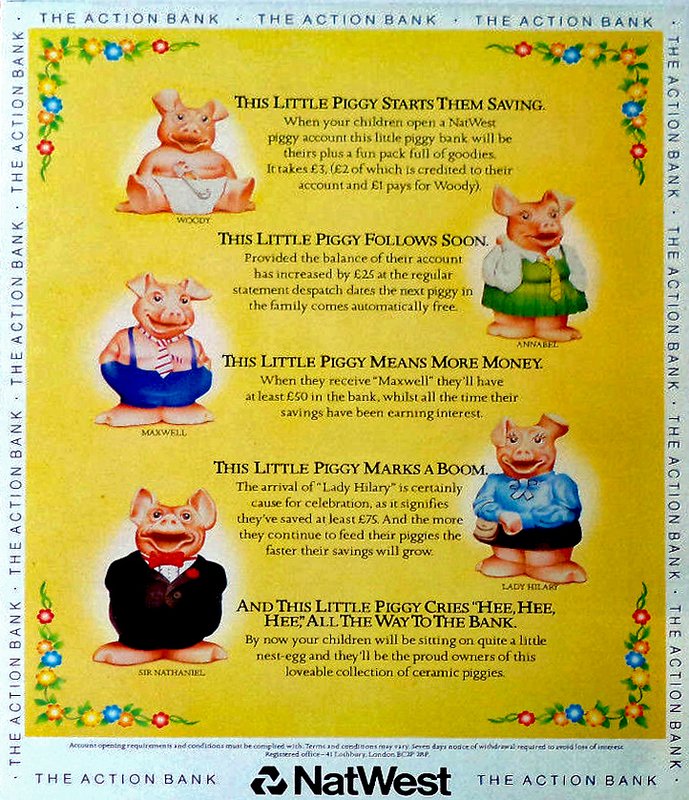 Launched on December 5, 1983, as part of the NatWest Piggy Account, baby Woody and his family of ceramic piggy banks were an instant hit with young savers, with more than one million piggy banks issued in the first two years. Also a big success for the producer of the piggy banks: Wade Ceramics Ltd in Stoke-on-Trent (George Wade). Children received their first ceramic pig, Woody, when opening an account with £3 and as their savings grew, they received the other members of his piggy bank family. If a child managed to save £25 they would get Woody's sister Annabel, while a £50 savings pot would get them big brother Maxwell. When the next landmark of £75 was reached Lady Hilary would join their collection and those kids that hit £100 would get their hands on Sir Nathaniel. Later on cousin Wesley arrived. I don’t know whose initiative it was: Wade or NatWest? 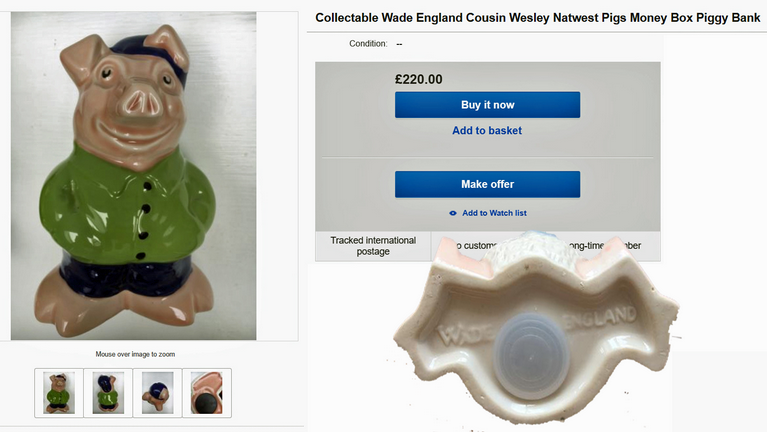 I cannot find any relevant information on cousin Wesley, beside a single add on eBay.